The Missouri River Recovery Program (MRRP) manages habitat and flows for piping plovers, least terns and pallid sturgeon. ESSA coauthored a detailed AM Plan; designed management experiments, monitoring, and data management systems; served on a Technical Team; and synthesized science. The Missouri River has six major dams and reservoirs, and three ESA-listed species: piping plovers, least terns and pallid sturgeon. 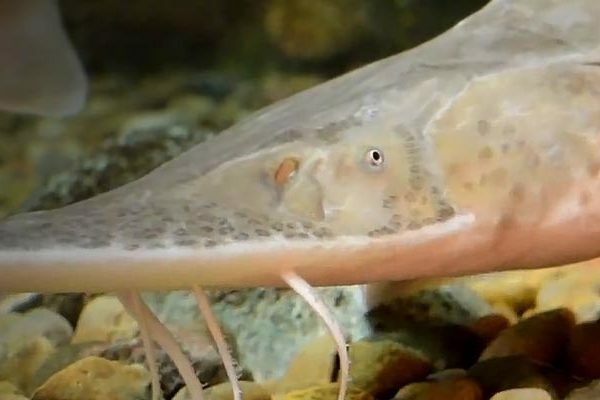 The U.S. Army Corps of Engineers (Corps) is seeking to implement various actions to prevent the extinction and assist in the recovery of these species, while not causing unacceptable impacts to human uses of the river. Key challenges include: how to best implement habitat management actions for pallid sturgeon in a rigorous experimental design, so as to evaluate the effectiveness of these actions; how to prioritize research on pallid sturgeon to reduce critical uncertainties in management decisions; how to most cost-effectively monitor the abundance and productivity of piping plovers; and how to organize data to facilitate hypothesis testing, and rapid movement from data to decisions. ESSA was the lead author of the pallid sturgeon chapter of the Draft Science and Adaptive Management Plan (SAMP), an 1100-page document completed in the fall of 2016. Our team helped to present the SAMP to the 70-person stakeholder group which advises the Corps. The SAMP will be applied to management actions over the period from 2016 to 2031; it includes experimental designs for implementing actions, monitoring physical and biological responses, and applying diverse analytical methods to evaluate action effectiveness. ESSA scientists developed experimental designs for four major actions: interception and rearing complexes, spawning habitat, spawning flows, and fish bypass facilities on the Yellowstone River. Our team also completed statistical analyses and evaluations of five alternative methods for monitoring the abundance and productivity of piping plover populations on the Missouri River, and developed a conceptual design for a data management system. ESSA’s work has received very positive reviews from the Independent Science Advisory Panel which evaluates all draft products from the MRRP. The rigor and clarity of our thinking, writing, and presentations has built considerable trust with stakeholders. In a basin with considerable conflict, ESSA’s expertise in both science and communication has helped the Corps to make considerable progress. ESSA’s team is part of an expert Technical Team to guide the implementation of AM over the period from 2018 to 2020.